Right now, all eyes are on November 4, but leading drug reform groups are already looking down the road to 2010 and beyond. 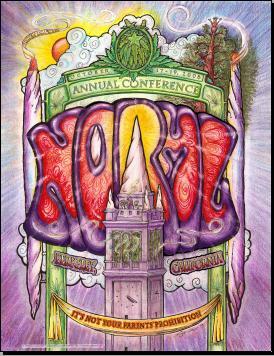 The National Organization for the Reform of Marijuana Laws (NORML) held its 37th annual national conference in Berkeley, California. Here's a report. StoptheDrugWar.org (DRCNet) is seeking volunteers in the DC area to help with our membership drive; and from anywhere to help with a writing-based project starting next month. Thank you to the many Drug War Chronicle readers who have submitted feedback. Here is what a few of you have had to say. Cops dealing drugs, cops stealing money. More of the same old same old. With election day less than two weeks away, the drug czar and California's prison guard union are trying to defeat California's groundbreaking treatment-not-jail Nonviolent Offender Rehabiliation Act (NORA) initiative. The drug czar's National Youth Anti-Drug Media Campaign is an expensive failure, a new study has found. For the second time in three years, students at Florida State University have approved an initiative calling on administrators to equalize penalties for marijuana possession and underage alcohol consumption on campus. Earlier this month, DEA agents strip-searched 147 Chinese nationals arriving in Saipan on vacation. The government of the Northern Mariana Islands is most unhappy. Research results from the North American Opiate Maintenance Initiative (NAOMI) are in, and the researchers say heroin maintenance is safe, effective, and economical. Four out of every five pounds of pot grown in the Netherlands is destined for export, says a top Dutch cop, and the black market trade is generating violent crime as well as big profits. Iran has announced it will not execute drug offenders who are minors. Meanwhile, it continues to execute drug offenders who are adults. Mexico Violence, Jail or Not to Jail for Relapse, Drug War for Budget Cutting, the Marijuana War on Young People, by Talvi, Newman, Conason and Armentano on Alternet, Huffington Post and Salon. The Marijuana Policy Project is hiring for six exciting positions -- one in Arizona, five in Nevada preparing for a 2012 ballot initiative. "Smoking Pot Won't Make You Stupid, But Stupid People Do Smoke Pot," "Parents Are Using Drug Dogs on Their Own Children," "Wow, I Almost Forgot It Was Drug Free Work Week," "Why Do Prison and Alcohol Lobbies Oppose Drug Treatment?," "Giuliani Robocall Attacks Obama on Drug Sentencing," "The Drug War is Destroying Mexico Right Before Our Eyes," "Could Mexico City Become the Next Amsterdam?," "The Drug War Sends White People Into Treatment, While Black People Get Felonies," "Drug Czar Tells Cartels to Surrender or Die," "More Drug War = More Violence," "Further Evidence That the Drug War Doesn't Protect Children," "DEA Thrills Schoolchildren With Awesome Drug War Parade." 18. Feedback: Do You Read Drug War Chronicle? 19. Webmasters: Help the Movement by Running DRCNet Syndication Feeds on Your Web Site! With the November 4 elections now less than two weeks away, most people, drug reformers included, are focused on the near term. Drug reformers in particular are watching with great interest as Michigan voters decide on medical marijuana, Massachusetts voters decide on marijuana decriminalization, and California voters decide whether to approve a groundbreaking treatment-not-jail initiative. But some are looking past next month's elections and plotting the future of drug reform. Rob Kampia, executive director of the Marijuana Policy Project is one of them. At last weekend's National Organization for the Reform of Marijuana Laws (NORML) conference in Berkeley, Kampia laid out his vision for the next few years. But before that, he bluntly predicted success in Massachusetts and Michigan. "We are looking at a pair of major victories on November 4," he told the cheering crowd. With a dozen medical marijuana states already and Michigan poised to be the breakthrough state in the Midwest, MPP will be aiming at placing medical marijuana initiatives on the ballot in three more states in 2010 -- Ohio, Massachusetts, and Arizona, Kampia said. 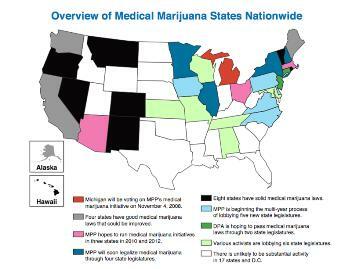 He also listed nine states where MPP is working to move medical marijuana forward through the legislative process. In four of them -- Illinois, Minnesota, New Hampshire, and New York -- significant progress has already been made, and MPP will attempt to build on that. In five other states -- Delaware, Iowa, North Carolina, Pennsylvania, and Virginia -- work is just getting started in the legislature. How successful MPP will be in the near future depends greatly on the outcome of next month's national election, warned MPP communications director Bruce Mirken. "The overarching thing is we will push ahead with as much of this as we can, but it will all be affected by next month's election," he said. 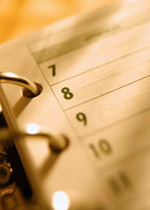 "That will either give us a major push or make our lives much more complicated. We're hopeful it will be the former." But regardless of what happens in November, MPP will also be returning to Nevada in what would be a third bid to actually legalize marijuana possession there. 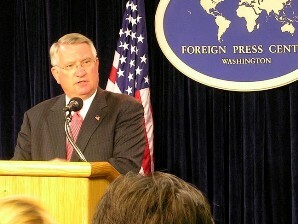 "We will try to file a legalization initiative in Nevada in 2012," Kampia said. "Nevada is definitely on the agenda," said Mirken. "We've always considered Nevada to be an ongoing project, we got significantly closer on our last attempt, and we're definitely looking at going back." One clear sign of MPP's intentions in Nevada is their latest hiring announcement. It includes five positions in the state. MPP isn't the only national reform organization eyeing the future. "We have a lot planned," said Drug Policy Alliance (DPA) executive director Ethan Nadelmann, "but the bigger question right now is what will happen with California's Proposition 5 (related story here). 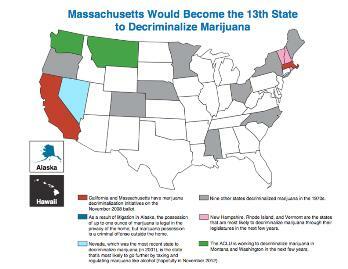 It contains a marijuana decriminalization provision, and if it passes, it will affect a larger number of people than any decrim measure ever." But while the outcome of Prop. 5 will have an immediate impact, it will also set the course for DPA's future work in the Golden State. "What we do next in California depends on Prop. 5," he said. Whatever happens in California, DPA will be continuing to work on medical marijuana legislative efforts in three states -- Alabama, Connecticut, and New Jersey -- as well as implementing the hard-won New Mexico medical marijuana law's distribution provisions, and working with local activists in Maine to get a medical marijuana initiative on the ballot there. The Connecticut legislature passed a medical marijuana bill last year, only to see it vetoed by Republican Gov. Jodi Rell. None of the efforts in the other states have gotten that far yet. "We will go back and push for medical marijuana in Connecticut," said Nadelmann. "But again, it will depend on our ability to get Gov. Rell to be more flexible. Our legislative sponsor in Alabama has said she is prepared to run with it again, and our New Jersey office has lined up a bunch of legislators to support medical marijuana," he added. Meanwhile, while MPP is eyeing another legalization run in Nevada four years from now, activists in Oregon's fractious cannabis community are preparing a pair of competing initiatives for the 2010 ballot. Oregon NORML is working on the Oregon Tax Act of 2010, which would regulate and tax adult sales, license the cultivation of marijuana for sale in state-run liquor stores and adults-only businesses, allow for adults to grow their own and farmers to grow hemp without a license, and remove taxation from medical marijuana. While the Tax Act would do away with the Oregon Medical Marijuana Act (OMMA) by rendering it redundant, Voter Power, the group of activists who got OMMA passed a decade ago, have their own initiative in the works. The Voter Power initiative would allow for dispensaries and Patient Resource Centers (PRCs) to sell smokeable marijuana, edibles, tinctures, and lozenges to patients, for growers to legally sell marijuana to dispensaries and PRCs, and for 10% of gross revenues to go back into the Oregon Medial Marijuana Program. But wait, there's more: According to Kampia, the ACLU is organizing for decriminalization efforts in Montana and Washington, and activists in five additional states -- Kansas, Maryland, Missouri, Tennessee, and Wisconsin -- are working on medical marijuana efforts in their state legislatures. Right now, all eyes are on November 4, but reforming the drug laws is a work in process, and that process is set to advance in the coming years. The National Organization for the Reform of Marijuana Laws (NORML) held its 37th annual conference last weekend in Berkeley, California, and what better locale than the pot-friendly San Francisco Bay area? Just across the bay from San Francisco, just a few miles up the road from Oakland's Oaksterdam, just a couple of hours down US 101 from Northern California's marijuana-growing epicenter, Berkeley is the kind of place where NORML is, well, normal. The setting, too, was superb, in a hotel on the Berkeley marina, with views of the bay and the San Francisco skyline to one side and the Berkeley hills to the other. Hotel employees and security guards limited their policing to making sure people smoking stayed away from building entrances: "We don't care what you're smoking, just don't do it within 25 feet of the door," they pleaded. Tie-dyed, long-haired, pot-bellied, aging-hippy mountain pot growers proudly bearing mason jars full of their best home-grown buds rubbed shoulders with suit-and-tie East Coast politicos. 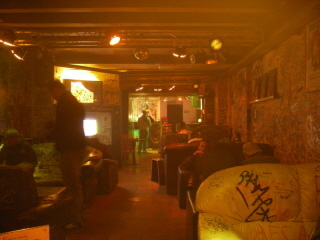 Research scientists mingled with hard-core legalizers. Media types met media critics. Lonely activists from the far provinces found their movement peers... and realized they were not alone. And loads of remarkably normal looking people roamed the halls, perused the vendors' tables, listened to conference sessions, and periodically wandered out back to join the non-stop medicating and just plain relaxing going on in the outdoors (in accordance with California's strict anti-smoking laws). Compared to some other drug reform conferences, with their dizzying array of panels, often four or five at the same time, the NORML conference agenda was blessedly succinct. For the most part, it was one session per time block. On Friday, it was "Pot, Politics 2008 and Beyond," "The Legal Marijuana Generation -- Growing Up and Raising Children in the Age of Legal Pot," "Getting the Story Wrong -- How the Media Lie About Cannabis," followed by a trio of breakout sessions on activism Friday afternoon. On Saturday, it was "What if We Arrested 20 Million Americans -- and No One Noticed?," "The Politics of Marijuana and Health," lunch with a keynoted speech by California Assemblyman Mark Leno (D), "Drug Testing and Cannabis Use: The Case Against Legally Sanctioned Discrimination Via Forensics," and "Oaksterdam, USA (Cannabis Freedom is Closer Than You Think)," "Pot Culture." Sunday was devoted to sessions on setting up and operating dispensaries in California. "This is not your parent's prohibition," said NORML board chair Steve Dillon, quickly hitting the conference's theme in his remarks opening the event. "It's much worse, much more costly. It's costing us the loss of freedom, our property, and our access to compassionate care. But marijuana prohibition is doomed to fail," he said to cheers. "It's totally illogical and counterproductive to continue to try to prohibit marijuana, but our government will have to be forced to end prohibition. We must elect new leaders and restore our damaged Constitution," he said. "Marijuana prohibition is deeper and more entrenched than ever," said NORML executive director Alan St. Pierre, reprising the theme. "We'll be arresting a million people a year for pot by 2010 or 2012," he predicted. Marijuana prohibition is becoming harsher and more intensive." But the prospects for positive change are the best in decades, St. Pierre argued. "If Barack Obama is elected, we will have the best chance for reform in the past 35 or 40 years. Maybe we can actually have an MD for a drug czar, or maybe Dr. Ethan Nadelmann," he daydreamed, to loud applause. Also speaking at the opening session was Berkeley City Councilman Kriss Worthington, who told the crowd it will take a long, hard, social, cultural, political, and legal battle to do away with "these stupid, absurd, insane marijuana policies." The people are way ahead of the politicians on marijuana legalization he said, urging people to put the pressure on their elected officials. An especially illuminating panel took place Friday afternoon, with former NORML head and MarijuanaNews.com founder Richard Cowan moderating a panel on the press that included NORML's Paul Armentano, MPP direction of communications Bruce Mirken, Oregon activist and XM talk radio host "Radical Russ" Belville, and long-time pot beat reporter Ann Harrison. "We've been lied to and lied about," snorted Cowan, as he prepared to get out of the way and let the panelists explain how and why. Armentano shone with a dissection of press coverage of the results of scientific studies on marijuana. "Less than 5% of cannabis studies are reported at all by the mainstream media," he noted, citing hard numbers from last year, "and those the media does focus on are the studies that focus on the dangers. Studies with health findings that do not support the dangers of cannabis are typically ignored," he added, listing a number of studies and how and with what frequency they were reported. Armentano also created a typology of marijuana reporting in the mainstream press. "News reports must have alarmist headlines," he enumerated. "They must be based on press releases prior to publication of the actual research. They must be highly selective. And they must make no reference to earlier contradictory data." Belville echoed Armentano's analysis of marijuana story types, presenting a list of common pot stories: "It's not your mother's marijuana," "Medical Marijuana Can Cause Adverse Effects, Researchers Say," "Teen Marijuana Use Linked to Later Illness." Citing the work of political theorist George Lakeoff, Belville then explained how such headlines fit into a "frame," or pre-designed narrative form in which marijuana is associated with vice and filthy hippies. "We have to change the frame," he said in his finest radio announcer voice. "Say cannabis instead of marijuana -- it doesn't have all the bad associations." Although Ann Harrison has now moved to working on human rights issues, the veteran reporter had plenty of advice for journalists continuing to cover the marijuana. "There was a surge in 2007 marijuana arrests in California," she noted. "What are the costs? How much are the feds paying? That's what reporters need to be asking." But reporters need to find that human angle, she reminded. "Stories run on emotion," Harrison said. MPP's Mirken had advice on how to influence the media, especially when unhappy with its coverage of the marijuana issue. "Start with the reporter, be polite, take a positive approach, and be specific and factual with your complaint," he said. "Perhaps he will make a retraction or positively update the story, perhaps not. But the idea is to start establishing relationships" that can guide the reporter in the right direction, he said. An exhaustive recounting of all the conference sessions is beyond the scope of this article. Readers who want more should check out the NORML blog and others who blogged on the conference, because there is much much more that was worthwhile and informative there. Membership Drive: Do you live in Washington, DC or nearby? We need help from friendly drug reform enthusiasts who are willing to spend a couple of hours on one or more evenings working the phones for DRCNet's membership fundraising drive. This effort will take place on Tuesday, Wednesday and Thursday evenings, starting this coming week. (No session on election day.) Volunteers will be calling previous DRCNet contributors. Come on out, enjoy free pizza and other snacks, make new friends, and help raise needed funds for the cause while gaining valuable phone-banking experience. E-mail [email protected] or call us at (202) 293-8340 ext. 301 for further information or to sign up. Writers: In the second half of November or early December, StoptheDrugWar.org will be carrying out an ambitious week-long writing-based campaign dealing with the mainstream media's coverage of drug issues, and we are seeking a team of good volunteer writers to be part of it. Along with writing skills, volunteers for this project should have a fairly good understanding of the effects of drug prohibition -- visit our Site Map page and scroll down to the "Consequences of Prohibition" section to get an idea of what we mean by that. Contact David Borden at [email protected] or (202) 293-8340 ext. 301 for further information about this very exciting effort. Please help Drug War Chronicle by making a generous donation here. In our current TRUTH 08 Campaign, we have featured the important and unique new book Dying to Get High: Marijuana as Medicine, by sociologists Wendy Chapkis and Richard Webb. More than 1,300 people have read our review of the book by Drug Chronicle editor Phil Smith -- check it out here! Please donate to the TRUTH 08 Campaign to support StoptheDrugWar.org's work providing this and other critical writing reaching hundreds of thousands of people every month. Donate $36 or more and you can receive a complimentary copy of Dying to Get High as our thanks. In "Dying to Get High," sociologists Wendy Chapkis and Richard Webb... trace the use of marijuana as medicine in the US... its removal from the pharmacopeia in 1941... the continuing blockage of research into its medical benefits by ideologically-driven federal authorities. Chapkis and Webb deliver a resounding, well-reasoned indictment of the political and (pseudo) scientific opposition to medical marijuana. "Dying to Get High" is also an in-depth portrait of one of the country's most well-known medical marijuana collectives... describing in loving detail the inner workings... of a group with charismatic leadership... more than 200 seriously ill patients, and the specter of the DEA always looming. Your help is needed right now to capitalize on the tremendous progress we've already made getting the TRUTH out: the past 12 months nearly 150,000 people per month visited StoptheDrugWar.org. Several months the number of visitors topped 180,000 and the trend is continuing upward. I am very excited about the new momentum we're generating together, and I'd like to thank you very much for your interest in changing this country's drug policies and for giving your support to the TRUTH 08 CAMPAIGN. Your contribution has never been more important. P.S. It's time to stop the senseless tragedy of the drug war and to bring an end to the countless injustices occurring every day. Your donation to the TRUTH 08 CAMPAIGN today will help spread the word to more people than ever and build the momentum we need for change. Thank you! In Memphis, a Bolivar police officer was indicted by a federal grand jury last Friday on drug dealing charges. Officer William Patrick Jordan is accused of buying powerful pain-relieving drugs from undercover informants and selling them to "young girls at the Sonic Drive-In in Bolivar." In Knoxville, Tennessee, a former drug task force officer was sentenced October 16 to nine months in jail and three years probation for stealing money from drug suspects and from the drug task force to which he was assigned. Former Sevier County deputy sheriff Mark Victor Shults had earlier pleaded guilty to three counts of theft over $1,000. Authorities said Shults became addicted to the drugs he was seizing and stole money to feed his habit. In Boston, a former Swampscott police officer was sentenced October 14 to six months of home confinement and two years probation for dealing dope. Former officer Thomas Wrenn pleaded guilty to possessing cocaine and Oxycontin in June after being arrested in March during a police sting while trying to buy drugs. He resigned after his arrest. In Atlanta, a former DEA agent was sentenced September 18 to 21 months in prison for failing to report cash income in 2004. (Sorry, we missed this when it happened.) Gregory Campion, 48, served as an assistant supervisor at a DEA task force office in Atlanta, where he had access to millions of dollars in cash seized from suspected drug dealers. In 2004, Campion deposited more than $200,000 in cash in his bank accounts -- at the same time that seizures conducted during his tenure came up "short" when deposited in banks. He didn't report his income on his tax return, and that's why he is headed for prison. Office of National Drug Control Policy (ONDCP--the drug czar's office) director John Walters headed to California this week to try to defeat a ballot initiative that would divert thousands of drug offenders from prison in the nation's most populous state. The state's powerful prison guards union, the California Correctional Peace Officers Association (CCPOA), has entered the fray too, pledging a million dollars to help finance a last-minute opposition campaign. change certain marijuana misdemeanors to infractions. All of that is too much for drug czar Walters, who showed up in Sacramento Tuesday to blast the initiative as a back-door move to legalize drugs. The Drug Policy Alliance, which is backing NORA, and its top funder, financier George Soros, cannot achieve drug legalization "by being honest and straightforward," so they deceptively offered up Prop. 5 to undermine the drug court system, Walters charged. Passage of Prop. 5 would "weaken our capacity to help people in the criminal justice system" who still remain subject to punishment if they fail, he said. That guaranteed a sharp retort from Prop. 5 supporters. 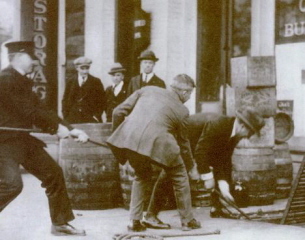 Margaret Dooley-Sammuli, spokesperson for Yes on 5, called the measure "a common sense response" to prohibition-related crime and blasted Walters as a spokesman for failed policies. "President Bush's drug czar has come to California to insist that we continue with the failed approach that has been so ineffective and has crowded our prisons full of nonviolent offenders," Dooley-Sammuli said. The Legislative Analyst's Office calculates that Prop. 5 will lower incarceration costs by $1 billion each year and will cut another $2.5 billion in state costs for prison construction. This doesn't include savings related to reduced crime, lower social costs (e.g. emergency room visits, child protective services, welfare), and increased individual productivity. But filling California prisons full of nonviolent offenders is a jobs program for the prison guards union. While earlier in the campaign season, the union had been distracted by a failed effort to recall Gov. Arnold Schwarzenegger, last week it announced it was kicking in a million dollars to defeat the initiative. "CCPOA never has been shy about making sure that our voice is heard," union spokesman Lance Corcoran said. "We'll continue to do that. We've always put the resources necessary to get the job done," he said. But while the prison guards and the drug czar join other law enforcement groups in lining up against Prop. 5, the measure has broad support within the treatment community, as well as endorsements from the League of Women Voters of California, the California Nurses Association, the California Federation of Teachers, and the Consumer Federation of California -- among many others. Students at Florida State University (FSU) have voted for the second time to urge administrators to lower penalties for on-campus possession to be equal to those for on-campus underage drinking. 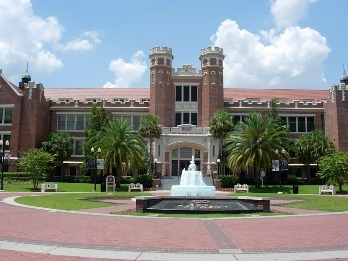 Students at FSU passed a similar measure in 2006. In the October 15 election, 2,835 students voted on the equalization initiative. Some 1,850 voted in favor and 985 voted against, giving the measure 65% of the vote. The initiative was sponsored by FSU NORML. Now, student leaders will use the vote to try to persuade campus administrators to heed the wishes of students. FSU students have also signaled their support for broader marijuana law reform. In August, the FSU Student Government Association passed a resolution supporting Barney Frank's federal decriminalization bill. "If the federal government decided that it was in their best interest to leave it up to the states to decide, it would leave the door open for us to further work on trying to get it decriminalized in Florida," said FSU NORML president John Mola. The work by activists is paying off -- at least at the student politics level. FSU Sen. Forat Lufti, who is not a pro-legalization activist, said the votes showed that FSU students care deeply about marijuana policy. "A lot of students feel strongly about the decriminalization of marijuana," Lutfi said. "As senators, it's our duty to represent the voice of all students. That was my main concern: to make sure their voice was heard," he said in reference to the August vote. Lawmakers and travel industry spokesmen on the island of Saipan in the Northern Mariana Islands, are furious with the DEA over an October 4 incident where the agency conducted a mass body search of passengers arriving on a charter jet from China. Tourism officials have apologized to China over the incident, the local congress has passed a resolution condemning the searches, and in the latest reverberation, the Marianas government has pulled its police from the local DEA task force. 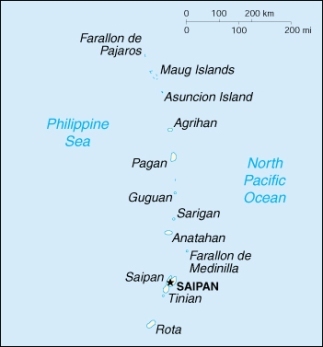 The Marianas, formally known as the Commonwealth of the Northern Marianas Islands (CNMI), is a US territory situated roughly three-quarters of the way to Australia from Hawaii. The islands have a population of about 80,000 and rely heavily on tourism. The October 4 incident occurred in the pre-dawn hours when a Shanghai Airlines charter flight arrived at Saipan International Airport. Acting on what it said was a tip about drugs on the flight, the DEA subjected 147 of 187 arriving passengers -- all Chinese nationals -- to intensive body searches. The agents forced passengers into a small room, then forced them to remove their clothing to be searched. No drugs were found, although the DEA reported it had seized some contraband plant and animal items. Many of the passengers were outraged by their treatment and reported it to their government. They also vowed never to return to the CNMI again. That had local officials scrambling to undo the harm. "I want to let you know that my administration is extremely displeased with the manner in which this activity was conducted," said Gov. Benigno Fitial in an October 10 letter to the tour company and hotel involved in the deal that brought the Chinese tourists to Saipan. "We did not approve of this and do not support such treatment of visitors to our islands." That same day, Marianas Visitors Authority managing director Perry Tenorio sent a similar letter to the Chinese consulate in Los Angeles. "We hope that this regrettable and isolated incident does not alter your affection for the CNMI and its people," Tenorio said. Late last week, still fuming over the DEA's actions and unresponsiveness, the CNMI House of Representatives passed a strongly worded resolution demanding that the US Department of Justice investigate the mass search. The resolution also called for the department to inform China that the DEA -- not local customs or immigration officials -- was responsible for the searches. "The House of Representatives of the Commonwealth of the Northern Mariana Islands hereby calls for a full and complete investigation into the activities and the causes of those activities that led to an episode at the Francisco C. Ada Saipan International Airport that embarrassed and degraded honored guests of the Northern Mariana Islands and may have violated their civil rights," stated the resolution. "These searches, and the abhorrent treatment of the passengers subjected to it, caused extreme embarrassment, discomfort, fear, and a feeling of perverse violation to the affected tourists and other guests of the Commonwealth," the resolution said. It also called the searches "harsh and irrational" and said they had caused irreparable harm "to the reputation of the Commonwealth and to the psyches of the victims of this demeaning episode." And that's the watered down version. After Federal Relations Committee Chair Diego Benavente expressed concern over harsh language, the House voted to remove a provision of the resolution containing the phrase "multiple fondling of the passengers' private parts." The fall-out continued this week. The CNMI Department of Public Safety announced Monday that it was pulling four Saipan police officers from the DEA Northern Marianas task force. That comes just days after the CNMI withdrew six other police officers and one customs officer from the task force. That withdrawal will be in effect until the DEA provides a complete explanation of the October 4 incident, government officials said. At this point, the government of the CNMI doesn't seem to care much what impact the withdrawal will have on the DEA's work. When asked if the pull-out would hamper DEA operations, a police spokesman replied only, "That remains to be seen." Last Friday, researchers with the North American Opiate Maintenance Initiative (NAOMI) unveiled their long-awaited research results and said they provided new evidence that opiate maintenance for hard-core addicts works and that heroin was more effective than methadone. The results were released only after this month's Canadian federal elections, leading some to charge they had been intentionally suppressed to not hurt the winning Conservatives at the polls. "Our data show remarkable retention rates and significant improvements in illicit heroin use, illegal activity and health for participants receiving injection assisted therapy, as well as those assigned to optimized methadone maintenance," said Dr. Martin Schechter, NAOMI's principal investigator. "Prior to NAOMI, all of the study participants had not benefited from repeated standard addiction treatments. Society had basically written them off as impossible to treat." The data traces the outcomes for participants in the three-year project that treated addicts in Vancouver and Montreal. It covers 251 participants. Some 88% of addicts in "heroin-assisted treatment," or heroin maintenance, stayed in the project after one year, while 54% receiving methadone stayed in. Of particular note, participants being given hydromorphone (Dilaudid) instead of heroin in a double-blind study could not distinguish between the two. According to the researchers, Dilaudid, an opiate licensed for use as a pain reliever, appeared to be equally as effective as heroin, but the study was not designed to test that proposition, and more study is needed. Illicit heroin use declined by 70%, while the number of participants who reported committing illegal acts declined from 70% to 36%. Similarly, the amount of time spent on illegal activities and money spent on obtaining drugs declined by almost half. In fact, researchers noted that participants who were once spending an average $1,500 on drugs were spending only $300-$500 a month by study's end. "We now have evidence to show that heroin-assisted therapy is a safe and effective treatment for people with chronic heroin addiction who have not benefited from previous treatments. A combination of optimal therapies -- as delivered in the NAOMI clinics -- can attract those most severely addicted to heroin, keep them in treatment and more importantly, help to improve their social and medical conditions," said Schechter. The Islamic Republic of Iran will not execute minors for drug offenses, but will keep capital punishment for those convicted of murder. The policy change came in a judicial directive that was issued last year, but only made public last week. Iran executes more juveniles than any other country in the world, accounting for two-thirds of all underage executions worldwide, according to human rights groups. "The new directive bans execution of under 18 criminals only if they have committed crimes related to narcotics that carry death penalty," Deputy State Public Prosecutor Hossein Zabhi told the Associated Press. "Life imprisonment will be the punishment for juveniles convicted of first rate drug crimes," said Zabhi. Zahbi added that no one under 18 has ever been executed for a drug offense in Iran. There are currently some 120 minors on death row there. 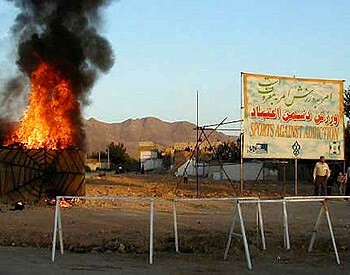 Iranian human rights activists welcomed the move, but said it was not sufficient. "Human rights activists won't give up the fight until execution of under 18 people is abolished altogether in Iran," said Mohammed Mostafaei, a lawyer who launched a campaign against the execution of juveniles. Meanwhile, it is business as usual at Iranian gallows. According to the anti-death penalty group Hands Off Cain, four men convicted of trafficking three kilograms of heroin were hanged Monday at a prison in the southeastern city of Zahedan. Zahedan is the capital of restive Sistan-Baluchistan province bordering Pakistan and Afghanistan, which is a key transit route for drugs heading from Afghanistan to markets in Europe and the Middle East. October 24, 1968: Possession of psilocybin or psilocin becomes illegal in the US. October 27, 1969: Anthropologist Margaret Mead provides testimony to Congress: "It is my considered opinion at present that marihuana is not harmful unless it is taken in enormous and excessive amounts. I believe that we are damaging this country, damaging our law enforcement situation, damaging the trust between older people and younger people by its prohibition, and this is far more serious than any damage that might be done to a few over-users." October 27, 1970: Congress passes the Comprehensive Drug Abuse Prevention and Control Act. It strengthens law enforcement by allowing police to conduct "no-knock" searches and includes the Controlled Substances Act, which establishes five categories ("schedules") for regulating drugs based on their medicinal value and potential for addiction. October 27, 1986: President Reagan signs the Anti-Drug Abuse Act of 1986, an enormous omnibus drug bill which appropriates $1.7 billion to "fight the drug crisis." The bill's most consequential action is the creation of mandatory minimum penalties for drug offenses. October 26, 1993: Reuters reports that the National Organization for the Reform of Marijuana Laws (NORML) joined scores of Boy Scout troops, Elks Clubs, and other community groups in a program in which participants clean up sections of Ohio's highway system. The Ohio Department of Transportation had denied NORML's application twice previously, arguing it would be helping to advertise a "controversial activist" group. The American Civil Liberties Union stepped in, and Ohio's attorney general forced transportation officials to relent. October 29, 1993: The administrator for the Drug Enforcement Administration (DEA), Robert C. Bonner, resigns after three years in office to enter private law practice in Los Angeles. He disagreed with the Clinton administration's increased emphasis on drug treatment, saying it amounted to a decrease in emphasis on law enforcement and the pursuit of cooperation from foreign governments. "Drug treatment, particularly in this town, is the real feel good (method) for how you deal with the drug problem. It doesn't deal with any enforcement of the laws. It makes everybody feel all warm and fuzzy... I think treatment is being oversold," says Bonner. October 30, 1995: President Bill Clinton signs legislation passed by Congress rejecting a US Sentencing Commission move to reduce penalties for crack cocaine offenses to bring them equal with powder cocaine. October 25, 1997: Regarding Colombia, the New York Times quotes US Drug Czar General Barry McCaffrey as saying, "Let there be no doubt: We are not taking part in counterguerrilla operations." Less than two years later, on July 17, 1999, the Miami Herald reports: "McCaffrey said it was 'silly at this point' to try to differentiate between anti-drug efforts and the war against insurgent groups." October 26, 1997: The Los Angeles Times reports that twelve years after a US drug agent was kidnapped, tortured and murdered in Mexico, evidence has emerged that federal prosecutors relied on perjured testimony and false information, casting a cloud over the convictions of three men now serving life sentences in the case. October 27, 1997: After a four-year investigation and a five-month trial, a federal jury returns a not guilty verdict on one racketeering charge against two former US prosecutors who became lawyers for a drug cartel, but fails to reach verdicts on drug trafficking and other charges against the two lawyers. October 26, 2001: DEA agents descend on the LA Cannabis Resource Center, seizing all of the center's computers, files, bank account, plants, and medicine. The DEA cites a recent Supreme Court decision as justification for their action. The patient cannabis garden at the West Hollywood site is seized by DEA agents despite the loud protestations of the West Hollywood mayor and many local officials and residents. October 27, 2001: The Guardian (UK) reports that a majority of Britons believe cannabis should be legalized and sold under license in a similar way to alcohol. Some 65 percent of those questioned in a poll agree it should be legalized and 91 percent said it should be available on prescription for sufferers of diseases like multiple sclerosis. October 28, 2002: The New York Post reports that a Time/CNN poll reveals that 72 percent of Americans now feel that people arrested with small amounts of marijuana should not do any jail time, while just 19 percent favored sending pot smokers to jail. Nearly 60 percent of Americans still want marijuana possession to be considered a criminal offense -- but 34 percent now favor complete legalization. The new poll also offers good news to activists and lawmakers who are calling for the legalization of medical marijuana: 80 percent of those surveyed said they favored dispensing pot for medicinal purposes. October 27, 2004: In an op-ed piece in the Paris newspaper Le Monde, Raymond Kendall, the chief of the international law enforcement agency Interpol from 1985 to 2000, calls drug prohibition "obsolete and dangerous" and says its continuation represents a missed opportunity for reform. He says prohibition has failed to protect the world from drugs and Europe must take the lead in reforming the drug laws, particularly at the United Nations General Assembly Special Session on drugs in Vienna in 2008. Arizona Campaign Manager: The overarching goal of the Campaign Manager is to successfully implement the campaign strategy from the campaign's inception through Election Day and ensure that every possible measure is taken to win the campaign. All aspects of the campaign will be overseen by MPP's Director of State Campaigns, with the Campaign Manager playing a key supporting role to the Director of State Campaigns and the campaign consultants. For more information, including application guidelines, see details. Campaigns Analyst: The overarching goal of the Campaigns Analyst is to help MPP pass state and local ballot initiatives, most of which will either (a) permit the use of medical marijuana by patients whose doctors recommend its use, (b) decriminalize marijuana possession, or (c) make marijuana offenses the lowest law enforcement priority. For more information, including application guidelines, see details. Executive Assistant: MPP-NV's ultimate goal is to pass a statewide ballot initiative that would tax and regulate marijuana like alcohol in Nevada, thereby ending marijuana prohibition in the state. This high-level Executive Assistant position is an exciting opportunity to play an integral role in a groundbreaking organization that seeks to significantly and permanently reform marijuana policy. For more information, including application guidelines, see details. Communications Director: The overarching goal of the Communications Director is to maximize the level of public support for ending marijuana prohibition in Nevada. For more information, including application guidelines, see details. Web Developer: This position is an exciting opportunity to play an integral role in a groundbreaking organization that seeks to significantly and permanently reform marijuana policy -- as well as play a crucial role in the IT operation of a successful and good-sized nonprofit advocacy organization. You'll have an enormous impact on MPP's online presence, work with emerging technologies, and be surrounded by smart people in a mixed Mac/PC environment. For more information, including application guidelines, see details. Systems Administrator: This position is an exciting opportunity to play an integral role in a groundbreaking organization that seeks to significantly and permanently reform marijuana policy -- as well as play a crucial role in the IT operation of a successful and good-sized nonprofit advocacy organization. You'll have an enormous impact on MPP's online presence, work with emerging technologies, and be surrounded by smart people in a mixed Mac/PC environment. For more information, including application guidelines, see details.